If you’re a fan of nonfiction films, head to your favorite AMC theatre this weekend. Two new releases based on true events open this Friday, April 6, and you won’t want to miss them on the big screen. 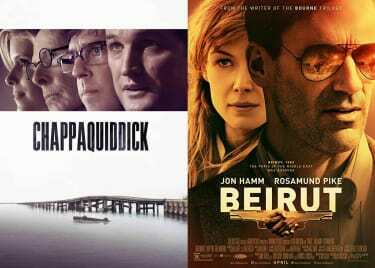 Learn more about the suspense drama CHAPPAQUIDDICK and political thriller BEIRUT, and get your tickets today. Only two people know what happened the night Mary Jo Kopechne drowned: her and the man driving the car that overturned on a small bridge in Chappaquiddick Island, Senator Edward “Ted” Kennedy. And his statement to police, 10 hours later, left more questions than answers. The new suspense drama from director John Curran and writers Andrew Logan and Taylor Allen takes us back to July 18, 1969, and the mysterious events surrounding Kopechne’s tragic death. 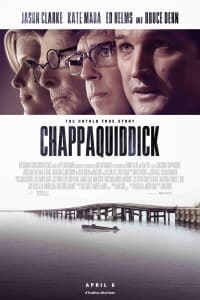 CHAPPAQUIDDICK is not meant to be viewed as a documentary; however, through true accounts, documented in the inquest from the investigation, the film intimately exposes the broad reach of political power; the influence of America's most celebrated family; and the vulnerability of Ted Kennedy, the youngest son, in the shadow of his family legacy. Not only did this event take the life of an aspiring political strategist and Kennedy insider, but it ultimately changed the course of presidential history forever. Get your tickets to CHAPPAQUIDDICK at AMC today. Set during the Lebanese civil war, BEIRUT is a political thriller about a U.S. diplomat, who is called back to the war-torn capital by CIA operatives to negotiate for the life of a friend he left behind 10 years earlier. The screenplay, written by Tony Gilroy (BOURNE trilogy), had been in the works since 1991. He was inspired by a producer who used to be a CIA analyst. For the story, he "wanted to put a negotiator in a historical setting where it could feel true to life without actually being a true story” (Bleeker Street Media). Though based on Beirut’s complex political reality and hostage crisis during this time, the film’s events are entirely fictional. Watch the drama unfold as the Paris of the Middle East is burning. 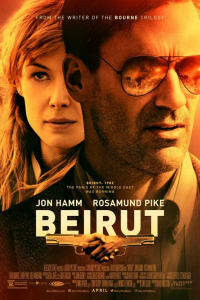 Get your tickets to BEIRUT at AMC today.